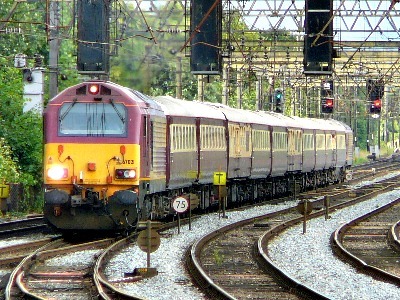 Ukrailways.com is run by Bethelgroups Limited, a privately owned, fully registered UK business, with Company House registration number 5525678. We are about UK rail travel tickets and more. We are not affiliated to the department of transport or UK government in anyway. Our goal is to help simplify your travel arrangement and bring you rail tickets, coach travel and hotels at the most affordable price. We work with top train ticket providers and discount bus and coach operators to bring you savings where possible. We bring you options to get your tickets from each of the train operating companies directly, view train times and journey planners, and information on how to get the cheapest train tickets. You will also get help with info and book tickets to European and other international destinations, whether by train, bus, ferry or flight! Wouldn't it be nice to be able to book your transport and get the choice to be able to book the best priced hotel for your planned destination? That is exactly what we have done too. You can compare hotels in any destination of your choice and get the best price here, in association of your hotel partner, Hotelcombined. Are you a rail enthusiast? We are too. We bring you access to heritage railway information, UK railways memorabilia, books, magazines and more. We are committed to bringing you everything you will ever need to know or do about UK Railways. That includes rail tours and holidays, railway jobs and rail forum. We are happy to help you on a one to one basis. Do you have a travel related query? Post it here and get help. We work with high volume train ticket booking companies delivering over 2 million rail tickets every month! You will be able to book your ticket and get direct access to wide range of choice of train journeys and routes, without second guessing how to get to your destination or where to make a change or when. All you need to do is type in your preferred start station or city and then your proposed destination. We bring you the different stations available to you. You also get to know the train times, the various ticket options, where to change, and destination station info. You are empowered to take control of your travel in a way you cannot if buying your ticket at the train station. Why spend time queuing when you don't have to? Avoid the usual queues, delays and hassles too well familiar with buying a train ticket the traditional way in the station. With a few clicks of the mouse at a time and place of your choosing, you can get your train tickets. With a wide range of delivery options available now, you can book your train ticket on line here and even pick it up in the train station up to 2 hours before your travel time. Our mobile friendly website means that you can order your UK railways train ticket and more from your hand set and get your ticket delivered to your email inbox immediately. We take our services to you seriously and always strive to see areas where we can improve. That is why we are very glad to hear from you. Please feel free to get back to us, if you have any concerns or difficulties using our website. You can contact us using the form below. Thank you very much for visiting us and hope you have a pleasant journey.